Love that Mexican skull face paint you see every Halloween? You may love the holiday and rituals that go with it even more once you learn about them. Día de los Muertos, or Day of the Dead, is celebrated across the U.S., Mexico and Latin America on Nov. 1 and 2. The 3,000-year-old Aztec ritual is a time to honor loved ones who have passed in the most beautifully life-affirming way. During this holiday, souls are welcomed to visit the families they left behind. Families decorate colorful altars with fresh flowers and bright tapestries. And of course, food is central. That’s why we’ve put together a full collection of our favorite traditional and modern recipes by Latina cookbook writers and bloggers just in time for the big day. You don’t have to be Mexican to celebrate Día de los Muertos. We all have people in our lives who have passed on — people we miss very much. 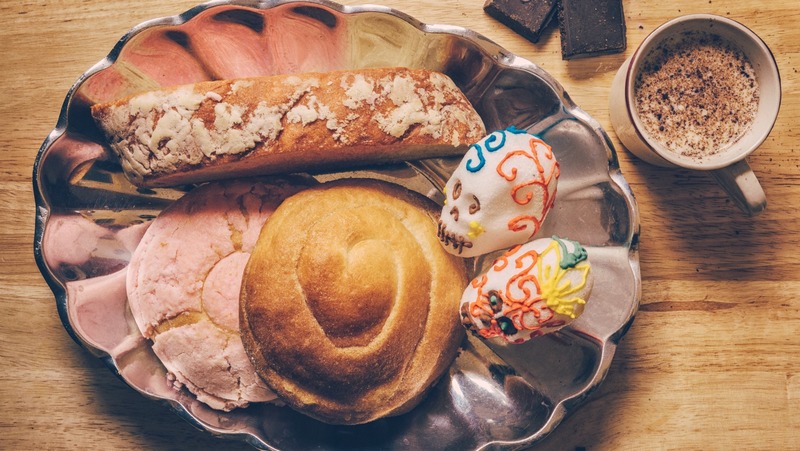 Welcome them back in spirit with your own Day of the Dead feast. Place the onion and garlic in a baking sheet under the broiler. Char for 9 to 10 minutes, flipping once in between. Once they are soft and charred, remove from the heat. When the garlic is cool, peel. In an already hot skillet or comal set over medium-low heat, toast the ancho chilies for about 15 to 20 seconds per side until they’re brown and crisp but not burned. Place the toasted ancho chilies in a bowl and cover them with boiling water. Soak for 10 to 15 minutes until they are plumped up and rehydrated. In the same skillet or comal, toast the cloves and allspice until aromatic, about a minute. Remove from the heat. Toast the almonds and cinnamon, stirring often, until lightly browned, 4 to 5 minutes. Place the onion, garlic, chilies, 1/2 cup of chili soaking liquid, almonds, cloves, cinnamon and allspice in the blender and purée until smooth. In a soup pot over medium heat, heat the oil and pour in the puréed mixture. Add the salt and sugar. Cook for about 5 minutes, stirring frequently to help prevent the sauce from sticking to the bottom of the pan. The color will darken considerably. Add the pumpkin purée and chicken broth to the sauce. Stir well until the pumpkin purée has dissolved. It will have a silky consistency. Continue to cook for about 12 minutes, stirring occasionally. 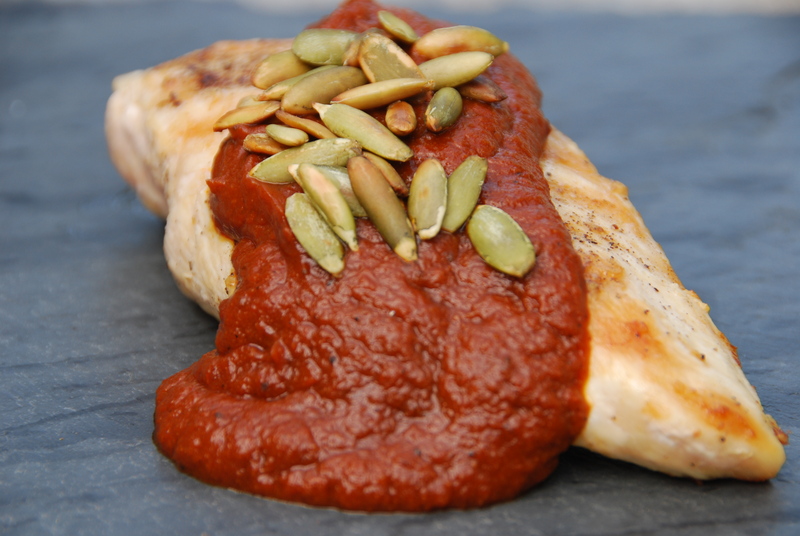 Use the mole sauce to pour over grilled, broiled or boiled chicken, meat or fish. Sprinkle with toasted pumpkin seeds for some added flavor and crunch. 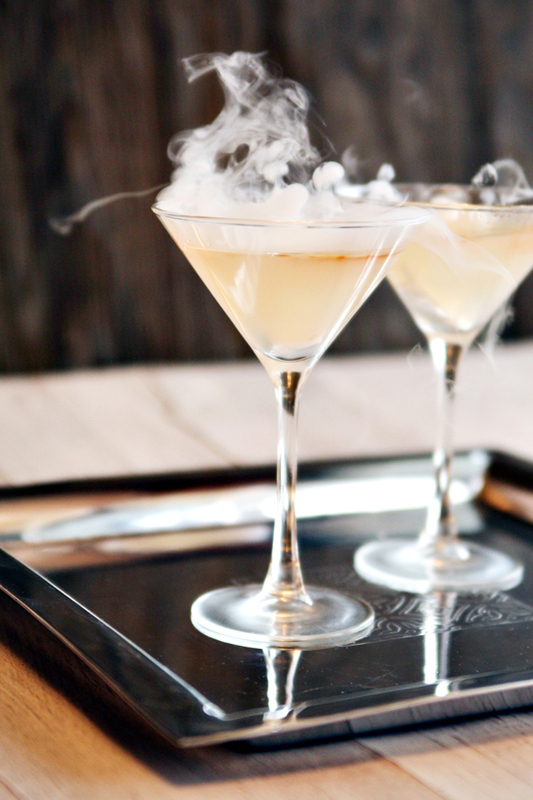 Marigolds are said to lead the souls of the dead to their graves, and this marigold-infused tequila is a great drink to celebrate with on this day. Also known in Spanish as “la Llorona,” a Mexican folktale used as a bedtime story for children, is inspired by the Day of the Dead celebrations. “Atole,” a corn-based drink, is usually drunk during this holiday. 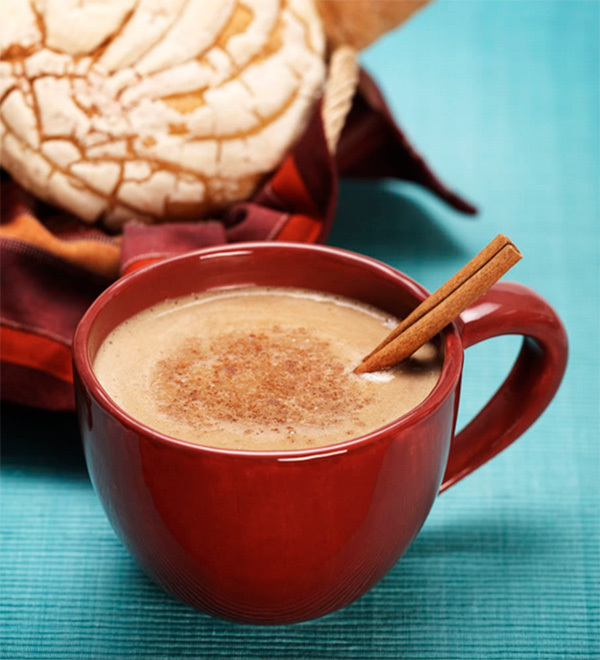 We’re loving the addition of coffee in this café de olla atole. Mexican hot chocolate, also known as “champurrado,” is famous for its thick consistency thanks to Mexican chocolate and “piloncillo” sugar, or really dark brown cane sugar. 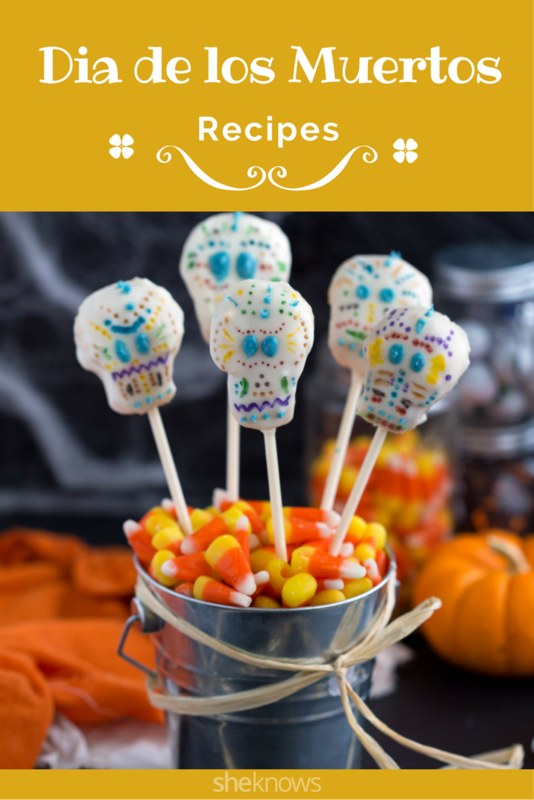 Muy Bueno cookbook writer and blogger Yvette Marquez-Sharpnack has a growing collection of Día de los Muertos recipes on her website. Also known as “colada morada,” this corn-based drink is sweetened with the addition of fresh berries. Another version of “atole,” the corn-based drink, is this atole de vainilla that is brightened up with the inclusion of Mexican vanilla beans — some of the best vanilla in the world. 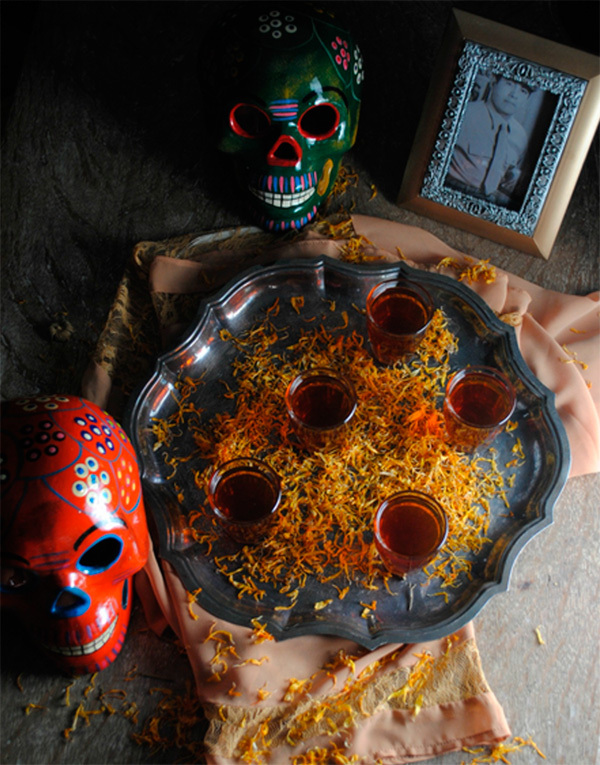 You can purchase dried or fresh marigold at your local flower shop to make this marigold muerte drink to celebrate your loved ones. In Spanish, these are called “guaguas de pan” and are traditional in Ecuador during the Day of the Dead celebrations.